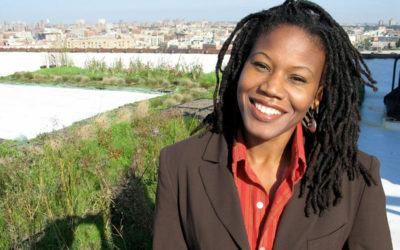 City Habitats’ partners share about their projects, research and more. 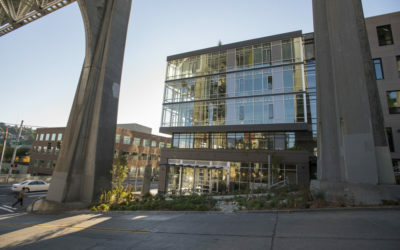 The Fremont neighborhood in Seattle has many claims, including being home to the Troll, the Solstice Parade and title of “Center of the Universe.” It is adding one more claim: home of an innovative, large-scale, green-infrastructure project capturing polluted water flowing off of the Aurora Bridge. This project is innovative for many reasons: the scale, the level of voluntary investment by a private developer, the intersection between transportation and green infrastructure, and much more. In our line of work, we often hear people talking passionately about getting children outside into nature. While this is a critical mission, the reality is that ‘nature’ often feels far removed from the lives of many families who live in urban areas. 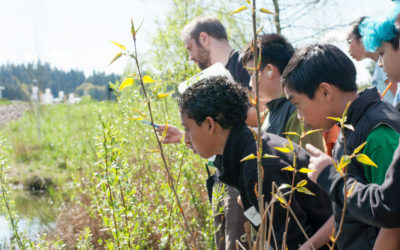 For the last five years, IslandWood’s Urban School Programs have delivered education programs at King County’s Wastewater Treatment Plant, the Brightwater Center in Woodinville. Some might ask, where is the nature in a place that cleans and treats millions of gallons of wastewater a day? Accelerate [ak-sel-uh-reyt] verb. Accelerated, accelerating. You may expect to see this word for a car show or some sort of mechanics’ symposium. But it was the theme for the second annual Green Infrastructure Summit by City Habitats hosted in Seattle. Puyallup has its first Green Street—though for now it’s still called 8th Avenue. 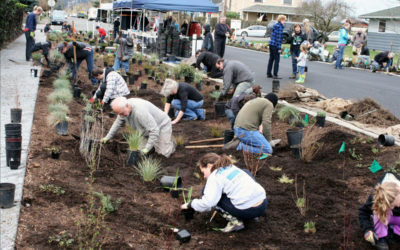 Over the last few years, Stewardship Partners and the 12,000 Rain Garden campaign teamed up with local homeowners to bring rain gardens to the Puyallup community in order to fight polluted stormwater runoff and stop the chronic flooding that occurred on their street. For decades, people living along 8th ave nw in Puyallup, Washington, watched helplessly as their yards and street flooded during heavy rainstorms. 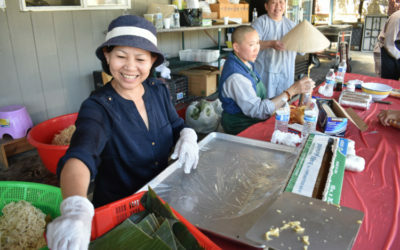 Mid-July, nearly 3,000 members of Seattle’s Vietnamese Buddhist community gathered at the Chua Co Lam Pagoda on South Graham Street to celebrate the annual Quan Am festival. 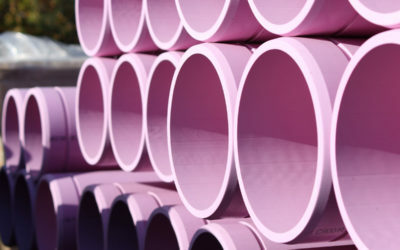 Along with live music, dance performances and food, visitors also witnessed the grand debut of a newly installed green stormwater-infrastructure features. Just two days earlier, Tom Le from Sky Landscaping Services finished installing five cisterns to capture rainwater running off the temple’s office roof, as well as a small floral garden to catch any remaining runoff. 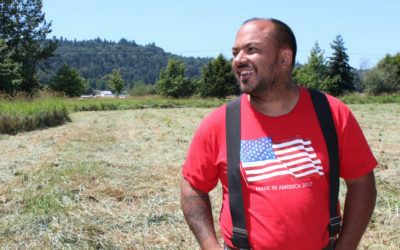 Puget Sound Conservation Districts (PSCD) are known to be the “boots-on-the-ground”efforts to maintain and restore a healthy and thriving Puget Sound.The approach to implementing community-based green-stormwater infrastructure projects is no exception. To grow their capacity to do this work, the PSCDs formed a new partnership with the state Department of Veteran Affairs and its Conservation Corps Program. With the many immediate neighborhood initiatives being implemented in Seattle and the greater Puget Sound region, it’s easy to lose sight of long term, multi-generational goals –safe, thriving, resilient and equitable neighborhoods that are good for both people and the planet. North Rainier Mt. Baker Hub, initiated by the Friends of Mt. Baker Town Center, have expressed this long-term vision of the future through their commitment to the Living Community Challenge.